Obama: The truth on taxation. My dad and I were talking about the Tea Party. What will you do if these people are elected? America has a noble tradition of being healthfully skeptical about government. That’s in our DNA. We came in because, the folks, over on the other side of the Atlantic been, oppressing folks without giving reputation. The problem with the debate that’s taken place, and, and some of these Tea Party events is I think they’re misidentifying sort of who the culprits are here. 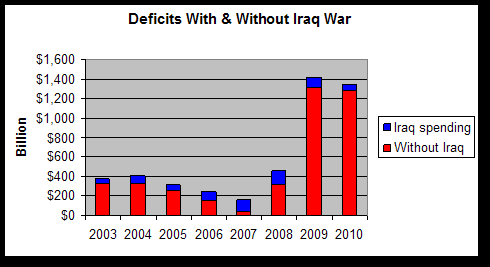 We had two tax cuts that weren’t paid for, two wars that weren’t paid for. We’ve got a population that’s getting older. We’re all demanding services but our taxes have actually substantially gone down, and so the — the challenge I think for the Tea Party movement is to identify specifically: What would you do? No, the challenge of the Tea Party movement is to get rid of the Democrats who are creating this mess. The purpose of tax cuts is to, what… Pay for government? That’s not the purpose of taxes. This whole premise here is misguided. Tax cuts were not paid for? You don’t pay for tax cuts. The whole concept of paying for tax cuts is foreign. It’s wrong. It’s irrelevant. By the way, revenues to the US Treasury in 2003 were in the neighborhood of $2.1 trillion. 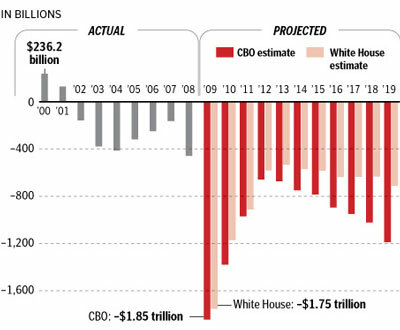 In 2007 revenues to the Treasury were in the neighborhood of two and a half trillion – Heritage Foundation citing numbers from the Obama administration Office of Management and Budget. So apparently government revenues went up from 2003 to 2007 after the Bush tax cuts. Revenues went up. The same thing happened in the 1980s. So his whole premise is nothing but a lie. Government is the single greatest repository of greed in the world, Washington, DC, including even all the tyrannical dictators around the world. All money is theirs and their little power games such that they believe you end up with whatever they deem is fair for you to have. You don’t pay for tax cuts. Tax cuts generate wealth creation. The purpose of tax cuts is not to stimulate the government. It’s to help the economy. The purpose of tax cuts is to stimulate growth and prosperity in the American people, which clearly Obama’s not interested in. The welfare, the well-being, the prosperity of the American people is not at all something he’s concerned about. Otherwise he would be in favor of tax cuts. Tax cuts are intended to leave money with the individual who earns the money. Tax cuts are about private property rights. Every dollar you earn is yours, until you are forced to pay taxes on it. Then you have what discretionary income is left for you to spend as you choose. Now, taxes are necessary, everybody knows this. But the way the Democrats look at it, taxes are a punishment. Taxes are a punishment for people doing too well. Taxes are class envy; taxes are a way to get even with other people; taxes are a way to buy votes for people who don’t think they’re doing well. Now, the president said we had two wars that weren’t paid for. Let me put it this way. Medicare is not paid for. The war on poverty is not paid for. Social Security is not paid for. Medicaid is not paid for. The Department of Education is not paid for. The EPA is not paid for. Why does he single out the Pentagon when the whole government is in deficit? Nothing is being paid for, Mr. President. Nothing! We’re bankrupt! The country is broke. We don’t have the money. Everything is adding up to a deficit. Social Security isn’t paid for, Medicaid is not paid for, Medicare is not paid for, the Great Society, not paid for, war on poverty, not paid for. This deficit’s government-wide. We’ve got spending increases, all of the president’s new regulations. None of it’s paid for. We are on a deficit deathwatch. That’s why the Tea Party exists. Every penny the president spends today and from this day forward is not paid for. Nothing is paid for that you are buying. You’re not paying for a damn thing, Mr. President. All of us are. Everything you get’s gratis. Your wife’s vacations, your trips on Air Force One, the perks and the parties. You’re the only one not paying for anything. The rest of us are in hock for the rest of our lives because of people like you. And you dare to insult us and say that two wars are not paid for, that our tax cuts have led to this problem? You blame the people of this country? You are single-handedly destroying the wealth creation engine of this country, and you have the audacity to go to a town hall meeting and blame us? Tax rates are not lower than after Kemp-Roth was passed. Tax rates are not lower than they were in 1986. Tax rates are not lower than they were in 1988. To the extent that taxes are lower than when Clinton was in office, that’s thanks to the Bush tax cuts. This president has intentionally bankrupted this country and now he claims that defense spending and tax cuts aren’t paid for? But the rest of all his entitlements and the rest of his massive slush-fund spending, why, that’s paid for, how do you explain that? All the things he’s spending money on are paid for but a couple of wars aren’t? So national security, which is a constitutional responsibility, was not paid for but all the rest of this massive bureaucracy is paid for? Tax cuts, which allows people to keep more of what they’ve earned the following year is already being spent by the government this year, so they’re not paid for. Nothing’s paid for, except his precious little programs. But everything that impacts us is not paid for. He keeps spending. He keeps running up deficits. He keeps taking care of his union buddies, trial lawyer buddies, certain Wall Street buddies, and then there’s nothing left for those of you who pay the bills. Suddenly he’s concerned about the budget and the deficit after he has single-handedly blown them up out of sight? So essentially what we’re going to have to do is keep ponying up for Obama’s failures. We’re going to have to keep ponying up to pay for socialism that doesn’t work. We’re going to have to keep ponying up to pay for huge salaries and benefits for bureaucrats and union people, and we’re going to have to hear all the while that defense and tax cuts aren’t being paid for. This is our fault. We had the audacity to accept the tax cut, and now we have to pay the price. This is all lies, it’s irresponsible, and more than anything else, it’s dangerous because it’s destroying the very engine of wealth creation that has defined the greatness of this country and has given people, not just in this country, but around the world, hope.